You’ve heard it somewhere, anywhere these days…Diets Fail. And they do. The research is consistent and valid that restrictive, low calorie, quick fix weight loss plans have a terrible retention rate. And an equally high instance of rebound…or weight regain. It’s really not that shocking when you think about it. If something forces you into habits that are not comfortable, create mental and physical stress, leave you feeling a lack of control over everyday decisions, you are apt to rebel. In many ways, under certain conditions adults will react just like children… tell a kid “no” or make something off limits they become that much more curious about it. Give kids the opportunity to experience things freely and with curiosity, with guidance and reasonable limitations, they will learn to appreciate and adapt through the process. I had friends growing up whose parents had not treats, candy, sugary cereals in the house. When they would spend the night, they would eat until they were literally sick to their stomach. It was not because they were starved, or ever went to bed hungry, but knowing they would not get another shot at a Rice Krispy treat, or a bowl of ice cream for weeks, they went nuts! In a similar vein, I use the example of alcoholism in many countries that do not have an age restriction on purchasing or consuming alcoholic beverages. In many such nations, rates of binge drinking, and alcoholism are much lower among young adult populations. When society tells already rebellious teenagers they can’t have something, it opens the door to overindulgence and often irrational behaviors. The diet industry has positioned itself in many ways to mirror that of child and teenage rebellion when it comes to food. We take mature, well-educated adults, many of whom are control freaks, high level executives, moms and bread winners. All of whom are used to being in complete control of their environment. We prescribe for them a meal plan with rigid, limiting rules as to what they can eat and drink. They immediately feel stuck and stripped of their freedom of choice. Then we say, “Oh, and if you don’t stick to this forever then you will probably get fat again”. No wonder they rebel! I feel defeated just listening to that. The truth is that losing weight or body fat, controlling metabolic syndrome (e.g., hypertension, excess abdominal fat, low HDL cholesterol, etc), or obesity rates does not have to be so restrictive that it unsustainable! In 90% of my clients’ cases it comes down to consistent, high fat, highly processed, mindless decision making. No one, unless there is some medical condition at hand, is 50-100lbs overweight because they eat too much once or twice a week. It is a scientific impossibility. When you are incrementally gaining weight, then you are simply too many calories, more specifically too many of the wrong type of…no matter how much you are exercising. And if you are exercising, then you are eating in even more excess because you are overconsuming for your baseline metabolic rate PLUS the amount of energy you are expending through physical activity. That is science. There are a few rare and unique cases in which someone has put themselves through such a metabolic disaster that they can in fact be eating next to nothing, 900-1000 calories and still be gaining weight. But this is not the societal norm. This is typically in someone who is very very lean, training to excessive levels, and has been undereating for an extended period. This is called metabolic suppression, and there are cases like this out there. But these individuals are rarely overweight. They have come off a contest preparation cycle, or are recovering from disordered eating patterns. In my experience, the biggest culprits of overweight/obesity for 90% of the population comes down to two variables: Eating out and Alcohol consumption. With a practice located in the heart of the south, a city where health is not a top priority, but rather it is Entertainment, and College Sports, socializing centers around fried food, and craft beer. It is a work celebration lunch, a cookout for the baseball team, a tailgate for Saturday’s game, a family reunion with Aunt Suzy’s special Casserole. And for many people these social experiences and the memories around them is rooted in the food and drink. 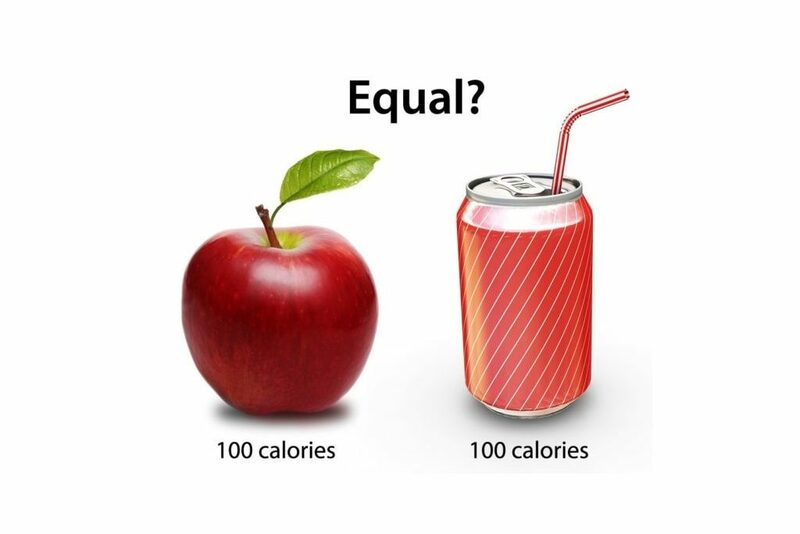 Without these caloric elements, it is just “not the same”. I believe that you don’t have to give up all of these experiences. However, I think many people look at weight loss success as hinging on just that. “If I am going to do this, then I have to give up EVERYTHING I like, take away all the foods I enjoy, avoid any social outings that make life fun and interesting. I have to say no and eliminate choices to the point of hating the thought of another meal”. This is simply not reality. It is called catastrophic thinking. Catastrophic thinking is using words like “Never”, “Can’t”, “Always”, “Forever”. When you enter a life change with the attitude of “giving up my normal” then already it creates anxiety and stress. What if we could look at it as, “How can I eat the things I love. How can I find a balance in my day, week, life so that I can still have foods I enjoy. Can I maintain control and moderate 80% of what I eat to make room for those choices?” THAT seems more doable. “Tomorrow I am going to change everything from what I am doing today”, to “Ok, I have 100 things I need to change. Tomorrow I am going to change 1 thing. In 90 days, I be 90% more healthy!”. This is doable, it is sustainable, it is gradual and digestible. That is what we will build together. Think about it. On a typical weekday, you wake up, hit snooze a couple times. Then, because you lost precious minutes, you routinely skip a real breakfast, subbing in a high-powered coffee with cream and sugar. About 10am you’re crashing hard, you have nothing packed so you hit the breakroom for a pick me up, and guess what?! It is Steve’s birthday, and someone brought donuts (Shocker!). Since you have no other options (wink, wink), you grab a jelly filled nugget and head back to your desk. 500 calories, downed in three quick bites. You immediately get an energy jolt from the sugar. The euphoria lasts about 2 hours, and now it’s lunch time. Going in to lunch, you are under fueled and after the donut, are now craving more sugar. The office is ordering Chinese. You have deadlines to meet and no lunch packed, so it’s takeout or nothing. Of course, you could get the Steamed chicken and Veggies…but, opt for the Lo Mein with egg rolls. Another hit of high fat, high carb fuel to push through. No time for an afternoon snack, plus you are feeling guilty about the donut and noodles, so you skip the snack. Upon leaving the office, you sit in rush hour traffic, stress on high alert, no energy, tired from the day. You roll into the house, and since you had a crazy weekend of soccer and Sunday tailgating you did not shop or plan for the week. You stand there munching on chips while perusing the fridge for something you can have for dinner. The kids have already eaten on the way to practice, and hubbie is out of town, so there is no motivation to cook anything of substance. You grab the box of cereal, and the skim milk…(hey, it’s fat free! ), and sit down to your sugar packed dinner…devoid of protein, devoid of micro nutrients, and you hit the couch. So…in your mind, you really did not eat all day. No breakfast, no afternoon snack, cereal for dinner. But, you don’t realize that regardless of the minimal “meals” the foods you did eat, are more detrimental than if you had eaten 4 or 5 BIGGER, more BALANCED meals! This is where the disconnect happens. You can pack SO MANY low quality, high caloric foods into a very small plate, so it feels like you are barely eating. But what is really happening is you are overeating fats and carbs, undereating protein, and fueling on simple, processed empty foods. Those will trump total calories every time! The more we can focus on the content of those calories and more mindful, balanced the choices, you will be amazed at how much food it feels like you are eating! I get the comment from almost every new client who is coming on board after a lifestyle of similar behaviors… “I am eating SO MUCH more than I was before” …volume-wise, probably. Calorically, food quality, fiber, protein, FUEL…not likely. But if you think about what a 500 calories meal of lean protein, veggies and grains might look like as compared to the same 500 calories in processed, low grade, high fat choices look like in terms of size…you will feel like you are eating more! That is the beauty of looking at your macro nutrients, quality over quantity, and understanding that you can eat MORE if you eat smarter. And also recognizing that while change is essential to achieve success, changing EVERYTHING out of the gate is not necessary, or reasonable. Be patient, make incremental adjustments. Have the DONUT, go out for Pizza with the kids, but it simply cannot be a daily or a weekly practice. Those are foods that we look forward to, that we enjoy and crave, but it is when we make the healthy choice the 20% that progress will be impossible, and rebellion inevitable.